If you’ve been paying attention to what’s been going on in the world of anime Kickstarters, you’ll know that the Kickstarter for Little Witch Academia opened a mere three days ago, but has now succeeded in getting fully funded in a matter of six hours and continues to be going strong as it has now doubled the amount it originally wanted to get funded at as its funding now exceeds $325,000. 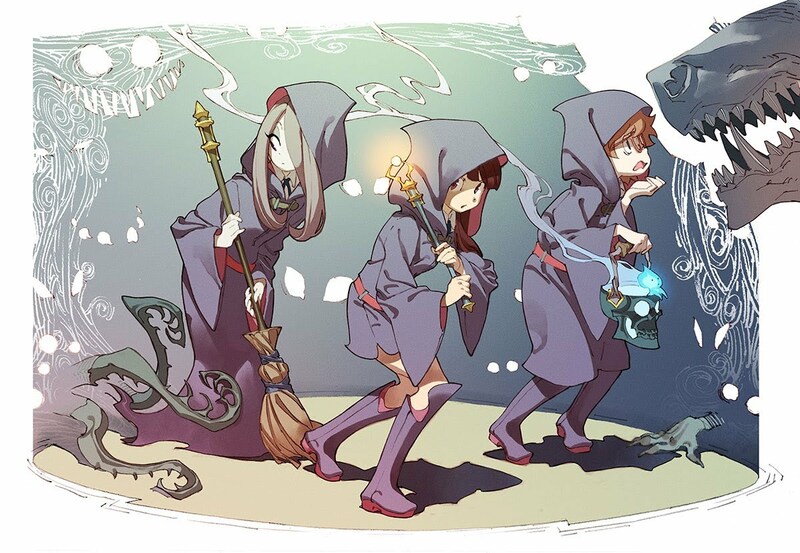 For those who aren’t aware of what this Kickstarter is all about, here’s some background: earlier this year, Studio Trigger released an anime short titled Little Witch Academia as part of the Anime Mirai 2013 event meant to showcase new talent amongst Japanese animators. This anime focused on a group of girls going through a Witch Academy not unlike Harry Potter’s Hogwarts where they learn to fly on brooms and perform magic. While it got a warm reception in Japan, fans overseas were really excited about it and left comments on the youtube video of the short saying they wanted more, prompting the director to look into Kickstarter as a funding possibility. Obviously, with this success on the Kickstarter stage, there will be calls for amazing stretch goals and Studio Trigger has delivered on that front, saying in their latest update that if the Kickstarter reaches over $500,000, those who’ve donated for the Limited Edition Blu-ray will receive a soundtrack! Now this news should resonate with anime music fans because composer Michiru Ooshima is behind these efforts. Her previous works included the amazing soundtrack to Sora no Woto as well as the original Fullmetal Alchemist and the Tatami Galaxy soundtracks. Suffice to say, with those titles under her belt, her efforts on Little Witch Academia have proven themselves worthy since the music was the next best aspect of it after the animation. So for those looking to get the soundtrack, rest assured it’ll be worth every penny!